The memorial is located on the grounds of St. Mary's Catholic Church located at 300 Welcome Avenue, Bear Creek, Wisconsin 54922. 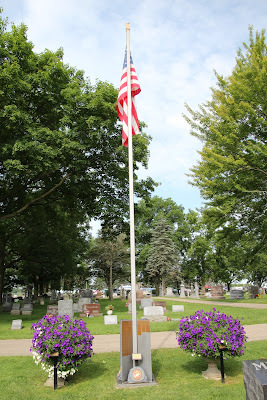 NOTE: The memorial is located at the Prayer Garden behind the church. The east side of the memorial. The north side of the memorial. The south side of the memorial. The west side of the memorial. The memorials on the right side. The memorials on the left side. Top left . . . The pathway leading to the memorial. is located at St. Mary's Prayer Garden. Unique veterans headstone in St. Mary's cemetery adjacent to the Prayer Garden. Beautiful sunflower along the pathway to the Prayer Garden. Follow the pathway to the left to access the Prayer Garden. 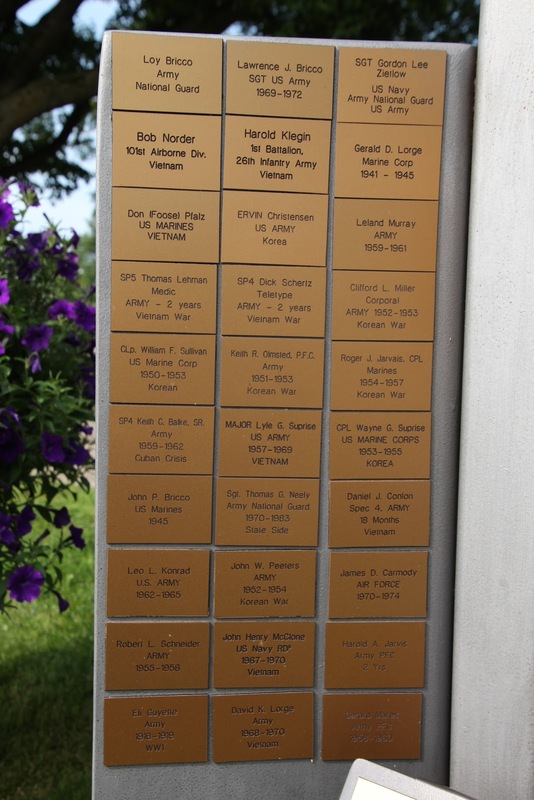 The memorial is located in Bear Creek, Wisconsin.